This course is suitable for Nannies wishing to join the Voluntary part of the Ofsted Childcare Register (OCR). It is also suitable for Au Pairs, Babysitters, Parents and anybody who cares for children and needs a basic course. 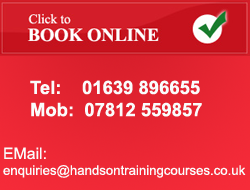 This one day (6 hour) course includes both theory and practical sessions. Certification is dependent on successful continuous assessment, there is no final examination. Those delegates who complete the course, and are deemed to have reached the required standard, are awarded a certificate that is valid for three years.